The phoney campaign has finally given way to the real thing. The writ is dropped, the legislature is dissolved and politicians are out on the hustings. And as voters know well, that means big, glitzy promises. But imagine promises that wouldn't need sod-turnings or ribbon cuttings? Meaningful promises that every party can sign-on to, because they're about good government, not party ideology. 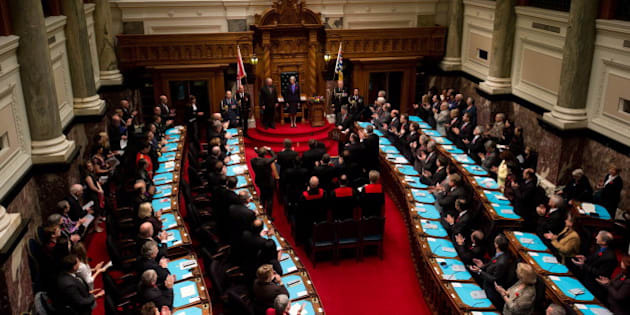 Platitudes won't restore the confidence of British Columbians. This time meaningful reforms need to be proposed that will address the public's growing distrust of the province's political class.The risks in failing to do so are great. In 1993, Paul Martin, Canada's Minister of Finance reported: "The underground economy isn't all smugglers. It's hundreds of thousands of otherwise honest people who have withdrawn their consent to be governed, who have lost faith in government." Mr. Martin could have just as easily been talking about B.C. in 2013. From the sale of BC Rail to the HST debacle to the Quick Wins scandal that "consent to be governed" is badly frayed in B.C. It's why B.C. 's 40th general election must be a transforming election. It's time to get it right, not just to win back the public's confidence, but to keep it as well. West Vancouver-Capilano will not elect an NDP MLA on May 14th -- the Liberal party nomination was handed to the incumbent months ago. But incumbency shouldn't come with a blank cheque. MLAs must stand in open nomination contests. Party members and voters deserve no less. Getting it right means whistle-blower protection for public sector employees, including healthcare workers and teachers. As B.C. 's auditor general John Doyle noted: "Whistle-blowers need an element of protection...and at the moment there's very, very limited [protection] that's afforded." As Information and Privacy Commissioner Elizabeth Denham noted: "(The Quick Wins) documents raise important questions about whether personal email accounts were being used in an attempt to evade access to information law, and whether personal information was inappropriately shared." Denham rightly called on the government to create a "duty to document" to reverse what is now euphemistically called "oral government." B.C. 's legislature will be far more effective through the introduction of permanent standing committees. It will reduce partisanship, help ensure fairness and improve the zoo-like atmosphere.